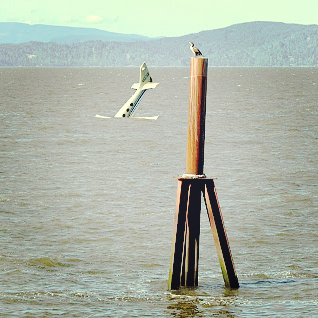 A small plane carrying a pilot and a passenger crashed into the Columbia River about 4:42PM on April 24, 2009, approximately 50 yards from Astoria’s 17th Street Pier. Both were rescued. Interesting about this incident is that 4 years later, in 2013, the pilot of this crash died in another wreck, killing four people in a Connecticut neighborhood (though as many as six people could have died in the crash). The former Microsoft executive was taking his teenage son on a tour of East Coast colleges. The “highly regarded philanthropist” Bill Henningsgaard, was presumed killed along with his son, Maxwell, and two children who were inside a house struck by the small propeller-driven plane. On April 24, 2009, Henningsgaard was flying from Astoria, Oregon with his 84-year-old mother to watch his daughter in a high-school play when he experienced his first accident and crashed into the river, trying to glide back to the airport. Henningsgaard and his mother Edith Henningsgaard-Miller, a former Astoria mayor, climbed out on a wing. 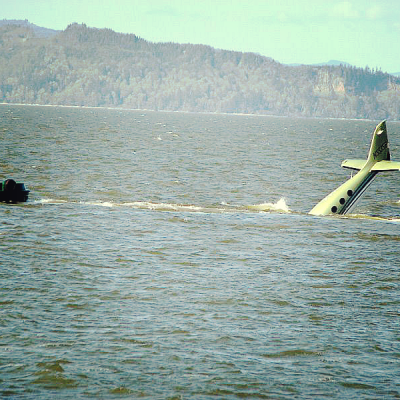 They were rescued, standing hip-deep in water, seen in photos above. Evart Smith, a captain with Foss Maritime, a deckhand and a Columbia River pilot jumped in a pilot boat and picked up the two. Local emergency responders were waiting for them at the pier. An account on the Daily Astorian Web site said the man was bleeding from the nose and mouth. The two were taken to a hospital, but both appeared to be in good shape. 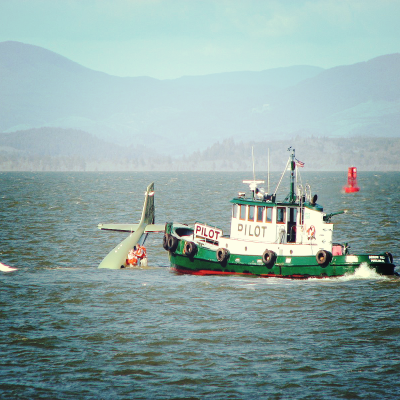 The plane floated to shore as the Coast Guard tried to figure out what to do with it. The cause of the crash was not immediately known, said Petty Officer 3rd Class Tara Molle, a U.S. Coast Guard spokeswoman in Seattle. Employees “heard a large noise on the waterfront, looked out the window and saw it in the water,” Smith said. The plane’s pilot apparently knew he had a problem with the engine, and was looking for a safe place to put it down. 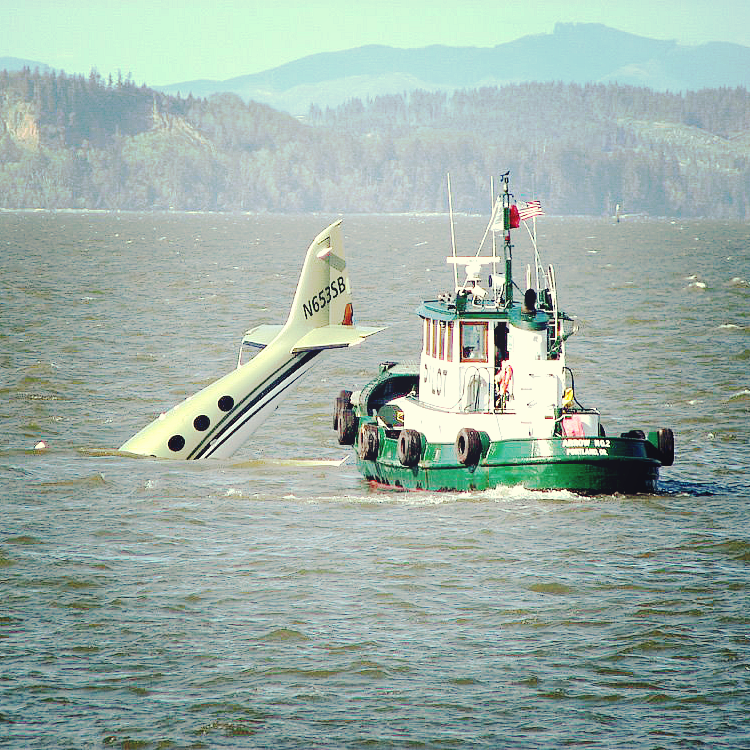 The plane crash-landed just a few hundred yards upriver from the Maritime Museum where two Coast Guard ships were in dock, and only a few hundred yards (or less) from shore. The rescue by Capt. 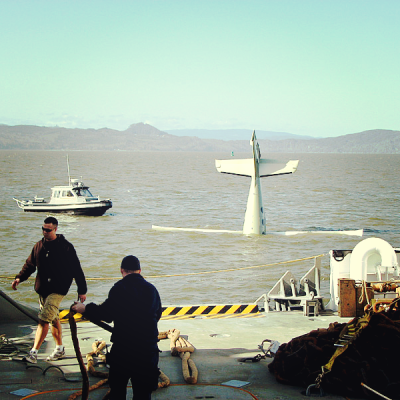 Mike Davis, deckhand Fred Snaza and Columbia River pilot Chuck Dobbins happened so quickly that the Coast Guard was unable to launch a helicopter before the plane’s occupants were on the pier, said Petty Officer 3rd Class Chad Hogan. 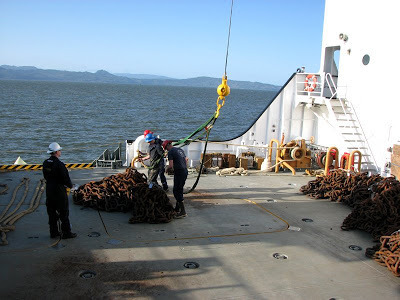 The Coast Guard cutters Fir and Steadfast, both based in Astoria, and the Coast Guard Station at Cape Disappointment, Washington, launched small boat crews to the scene. The Clatsop County Sheriff’s Office also dispatched a small boat. The crews were working to retrieve the plane and minimize environmental damage. Some fuel was reported around the crash. 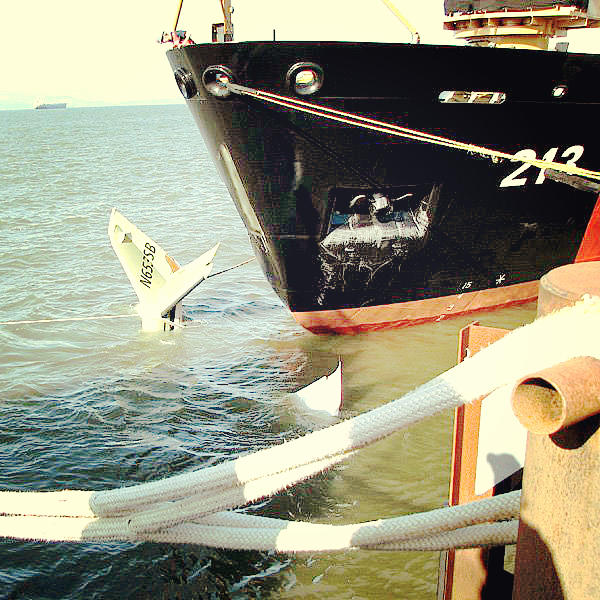 “Once the boat had sped away, the plane drifted nose-down in in the river with only the tail and three, then two, windows and a fraction of the wing out of water, coming to rest – unbelievably – just exactly amidships of a Coast Guard ship equipped with a crane for hauling buoys and other objects out of the Columbia River’s deadly currents. The crew on the ship roped the plane, and with the help of a Sheriff’s boat and a small Coast Guard boat, hauled the plane around to the bow of the ship.